For the man on your list: Amazon has the Hitachi C10FCE2 10-Inch Compound Miter Saw at a Great Price. Right now you can get it for $99.00 with FREE Shipping. The list price is $263.94. You save 62%. 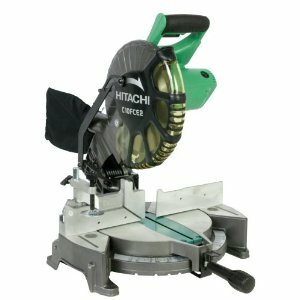 The Hitachi C10FCE2 10-Inch Compound Miter Saw provides smooth, accurate miters and crosscuts in a variety of workpieces, including wood, plywood, decorative panels, soft fiberboard, hard board, and aluminum sashes. Its flexible miter angles and compound cutting capability provide versatility on the job. An ideal tool for trim carpenters, framers, and woodworkers who demand precision and reliability, the C10FCE2 is the lightest and most portable compound miter saw in its class.